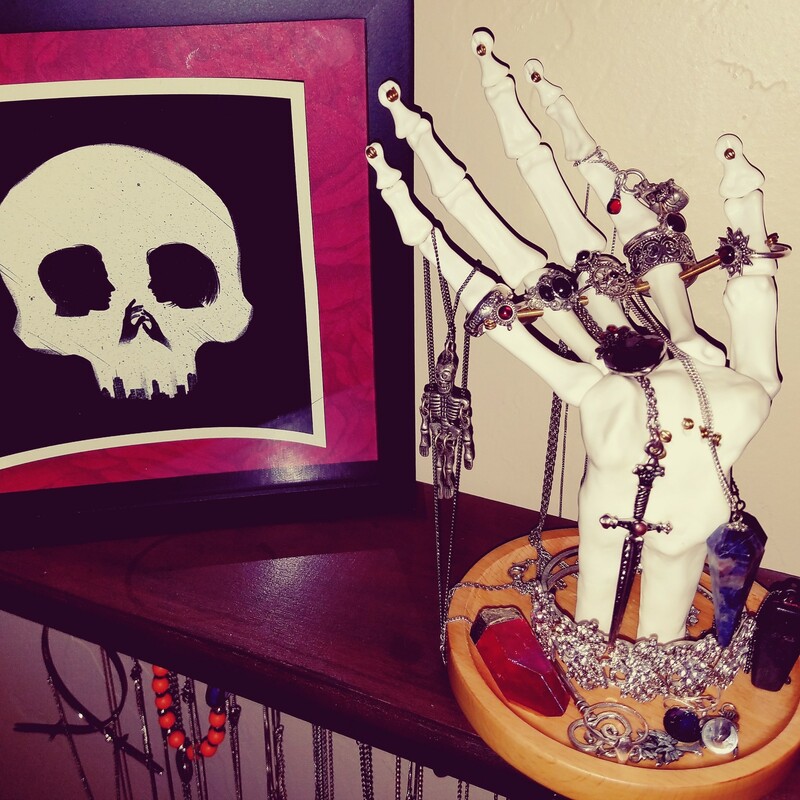 A keeper of rings and things, this skeleton hand has movable joints so it can show off all your precious treasures. A wooden base holds smaller items. After all, we can all use a helping hand from time to time. Bought for a friend who is a Deputy Coroner. Needless to say, she loved the hell out of it. It's perfect for holding my jewelry that I use more frequently and it's awesome! My sister and I had gotten this for my brother's girlfriend & she absolutely loves it! It's beautiful & looks like good quality. We also loved the box it came in. The shipping was within the week so that was great too! She was very happy with her gift!